Today’s Nice Price or Crack Pipe Subaru Justy is quite possibly the nicest one in the whole country, a description that may be damning it with faint praise. Let’s see if this small survivor can rightfully ask a not-so-small price for the honor. It’s quite remarkable considering both the size and financial strength of the U.S. car market that only tree European manufacturers—VW, Fiat and Mini—play in the kiddie pool that is the entry-level echelon. Once there were quite a few more, one of which was France’s Peugeot. 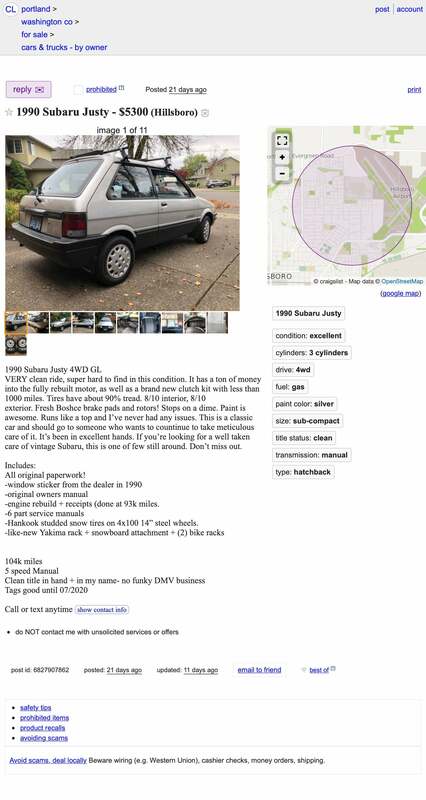 Indeed, we featured an older Pug just yesterday, a 1989 405 Mi16. That car offered a tantalizing mix of assets—handsome styling, reasonable power and good handling—that still remain compelling even to this day. At just $3,500, its price also proved reasonably compelling, earning a solid 78 percent Nice Price win. Peugeot’s 405 was the nominal replacement for the 505, a car that had done more than a decade’s service in the company’s lineup. Like many supplanting models in the ‘80s, the new car was more compact than the one it replaced, and represented the significant switch from RWD to FWD. This was all demanded by an automotive marketplace facing staggering increases in fuel costs over the course of the previous decade. This shift in market sensibilities caught many manufacturers off guard. For most Japanese car makers however, the pieces were already in place. 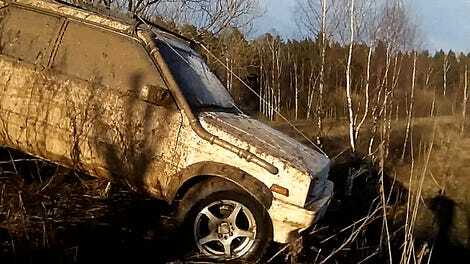 One of those pieces is represented today by this 1990 Subaru Justy AWD three-door. The Justy, along with the Chevy Sprint, and Ford Festiva represented a new wave of micro-compacts for the American market. The Sprint and Justy even reintroduced something that had been lacking in the U.S. car market for more than two decades—a three cylinder engine. This was long before the modern era of efficiency through electronics and in such an analog world the best way to make a car more fuel efficient was through lowering weight and complexity and, in the case of the Justy, lopping off a piston pot. At 1189ccs, the Justy’s EF12 engine is kind of big for a triple. That doesn’t mean its also big on power however. The use of three-valves per cylinder does aid breathing, and allows the Justy to eke out 66 horsepower and 70 lb-ft of torque from the little maker-shaker. A five-speed stick helps deal the cards on this one, with AWD available by way of a button on the shifter. The triple in this one is claimed to have been fully rebuilt less than 10,000 miles ago. The clutch is said to have been similarly renewed just 1,000 miles back. I’m kind of curious why that wasn’t done when the engine got replaced. Inquiring minds and all that. As the pictures show, this is very likely the nicest Justy you’re likely to find. The silver over black paint looks serviceable, and while there are a number of small dings here and there, the body beneath does look to be sound. A Yakima roof rack adds wind resistance making the little car work all the much harder at keeping up with traffic, but it does extend the carrying capacity, apparently being able to transport three bikes. Up front, a pair of bumper-mounted driving lights look to be a bright idea. The interior is pretty nice, with reasonably clean upholstery and no cracks or tears evident anywhere. Yes, the seatbelt latches look like they’ve been through the war, but that’s a minor complaint. The car comes with two sets of wheels and tires: the Subaru steelies for summer, and some Geo Prizm rollers with studded tires in case you want to go out and mess in the muck. The title is as clean as the car and there’s a total of 104,000 miles run under its chassis. There’s a ton of paperwork that comes with the car, including a dealer window tag that pegs the price back in the day at a mere $7,288. 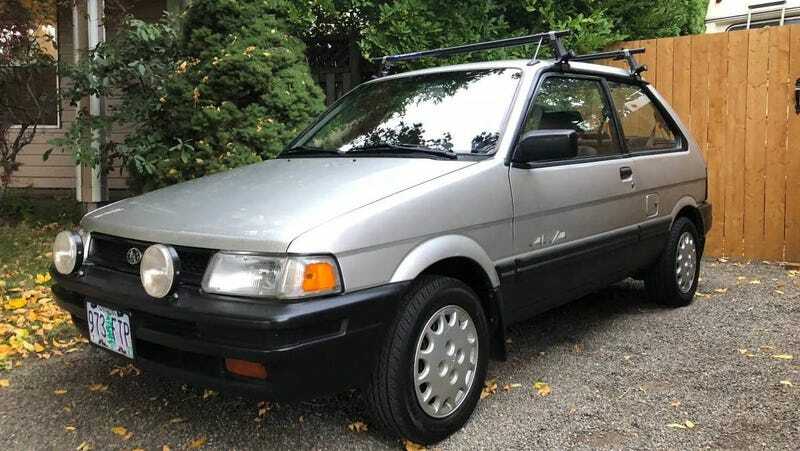 The price now is $5,300, which if you’ve been paying attention to the Justy market is hella high. That being said, most Justys that you’ll find for sale these days are total crap wagons. This one, as I noted, is about as nice as you could want to find. The question is, should anyone go looking? And, at $5,300, should those lookers turn into buyers? At $3,500, Could This 1989 Peugeot 405 Mi16 be the Quirkiest Daily Driver Deal There is?